English is everywhere in Japan. It’s on advertisements, clothing, and packaging. Yet, many CD and book stores in Japan do not use English alphabet, but the Japanese writing system. This can make searching for your most wanted CD quite challenging. But never fear! If you use this handy guide to Japanese alphabetization, you’ll be able to find anything you need! 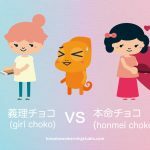 The most important thing is to be familiar with a Japanese writing chart (Click here to view our Hiragana cheat sheet). Hiragana is Japan’s primary native alphabet. If you are looking for something in alphabetical order, use the row of “a” syllables. This includes the one that is the letter “a” (あ) by itself, with no starting consonant. This is because in Japanese alphabetization, everything is grouped by consonant. 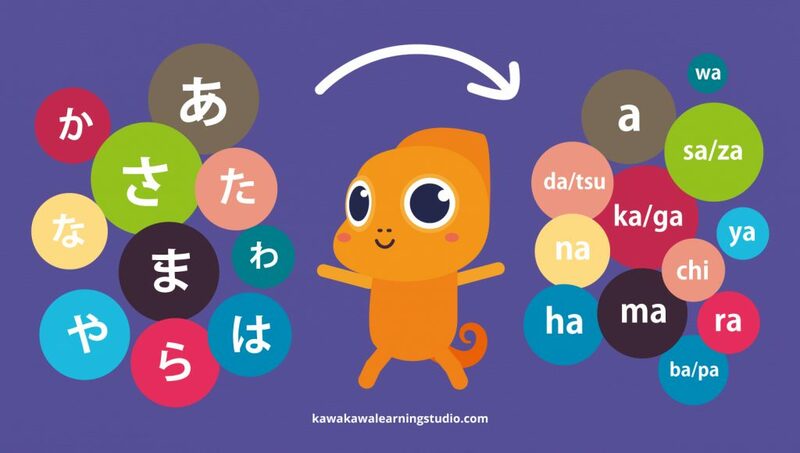 Words beginning with the syllables か ka, き ki, く ku, け ke, and こ ko are all filed in the か ka section in this order (words beginning with か ka first, then words beginning with き ki, then く ku, etc). Oftentimes, there will be small tags reading か (ka), さ (sa), etc. sticking out of shelves of books or disc cases to designate where a section stops or begins. The trick is that this includes dakuten and handakuten letters. Dakuten letters begin with a “g,” “z,” “d,” or “b” sound, and handakuten letters start with a “p” sound. They are ordinary letters, but are sometimes not included on a regular hiragana chart. Why? They look the same as the letters in the k, s, t, and h rows but they have two extra dots or an open circle above them to the right. Dakuten and handakuten letters do not get their own alphabetical section, but are included in the letter that they resemble (e.g. 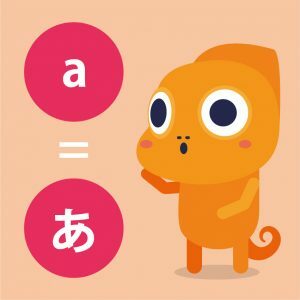 words beginning with が ga go in the か ka section). Click here to download this cheat sheet. To practice using our hiragana chart to find anything, let’s pretend we are looking for music by three particular artists: Yui, Bump of Chicken, and X Japan. Our first mission is to find the newest CD by Yui. She’s a female singer who is best known in the United States for performing “Rolling Star” (one of the opening themes used in the anime series “Bleach“) and “Again” (the first opening theme used in the anime series “Fullmetal Alchemist Brotherhood”). 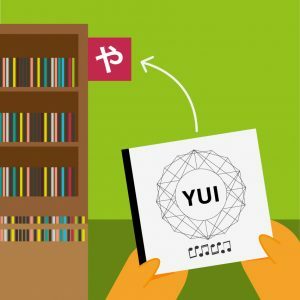 Yui’s name begins with the syllable ゆ yu, which is in the middle of the や ya row on the hiragana chart. Thus, you can find her in the middle of the や ya section of the CD store. Next is Bump of Chicken. They are less popular in the United States than Yui, but fans of anime “One Piece” most likely know them. Their song “Sailing Day” was used at the end of “One Piece The Movie” in 2003. 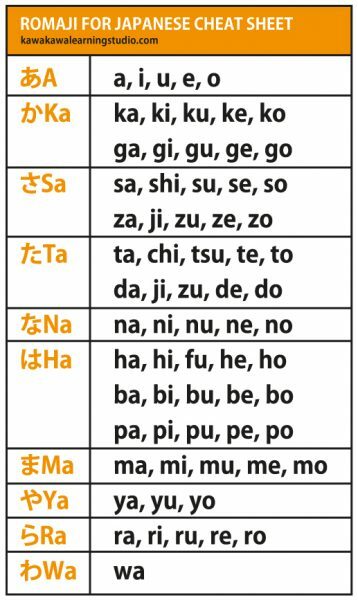 In this case, it is important to remember that while there is no “b” row of the hiragana chart, the “b” row is essentially the same as the “h” row – ば ba is just は ha with dakuten. Bump of Chicken, when written in Japanese phonetics, becomes “Banpu obu Chikin;” so their CDs will be towards the beginning of the は ha section. Our final goal is X Japan. This is the trickiest one, because their name starts with no discernible syllable. In fact, “x” is not used in Japanese at all. 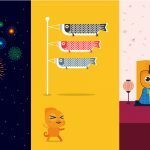 The secret is that vowels added to any foreign word or sound can be written in syllables, – like in “Bump of Chicken.” If we write “x” using hiragana phonetically, it becomes “ekkusu.” A solitary “e” falls into the vowels row of the hiragana chart. Therefore, X Japan’s CDs are actually in…the あ a section! Those are the basics of Japanese alphabetization. 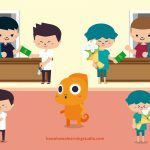 We hope this short guide will be of use next time you are searching for a book or CD. 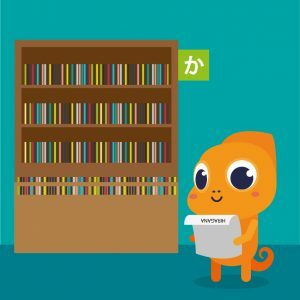 What’s the strangest English word you have seen written in phonetic Japanese?